BAIT and Asics teamed up for the five-shoe Olympic “Rings Pack” last summer, and now the two brands are back with another release. 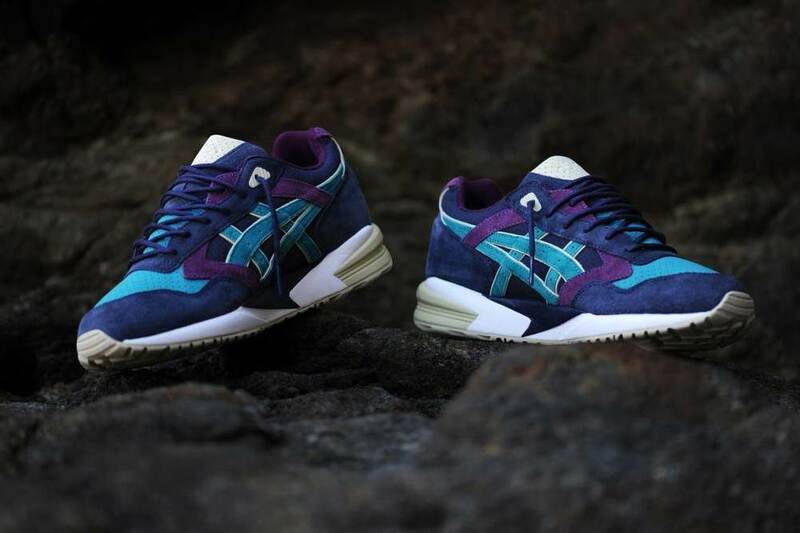 Their latest collaboration – the BAIT x Asics Gel Saga “Phantom Lagoons” – fuses fresh colors, luxurious materials, and special details with a retro Asics design for a street-ready look. Hit the jump for a full gallery of photos, release information, and details about the shoe. 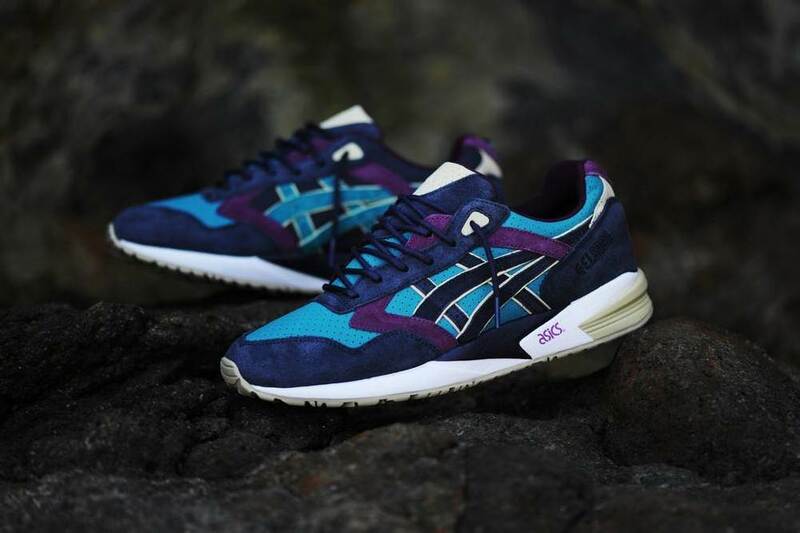 The classic Asics runner is dipped in a refreshing balance of midnight navy, aqua green, amethyst purple, juxtaposed with sand highlights. The upper mixes two lush textures to help the unique color scheme stand out even more: a smooth perforated nubuck across the body, covered with rich velvet suede overlays. 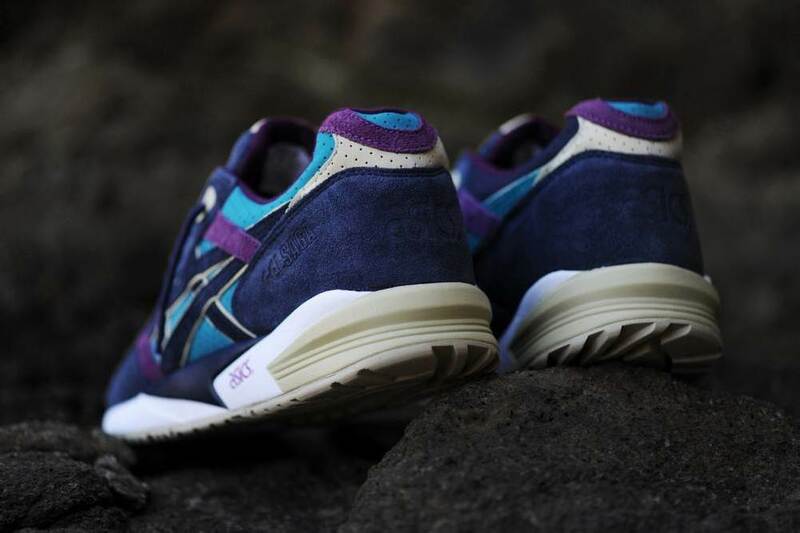 BAIT sets the collaboration apart with a number of special touches throughout the shoe. 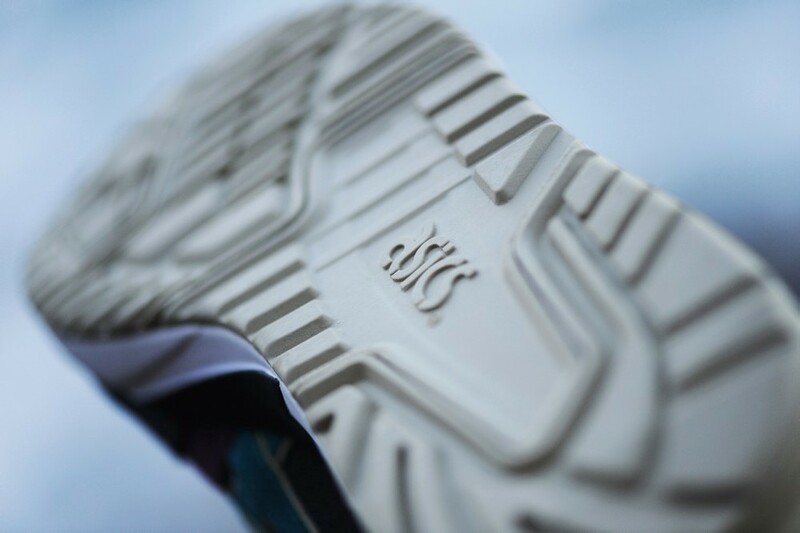 Tonal, debossed logo hits on the heel and tongue to simplify the design for a cleaner look. 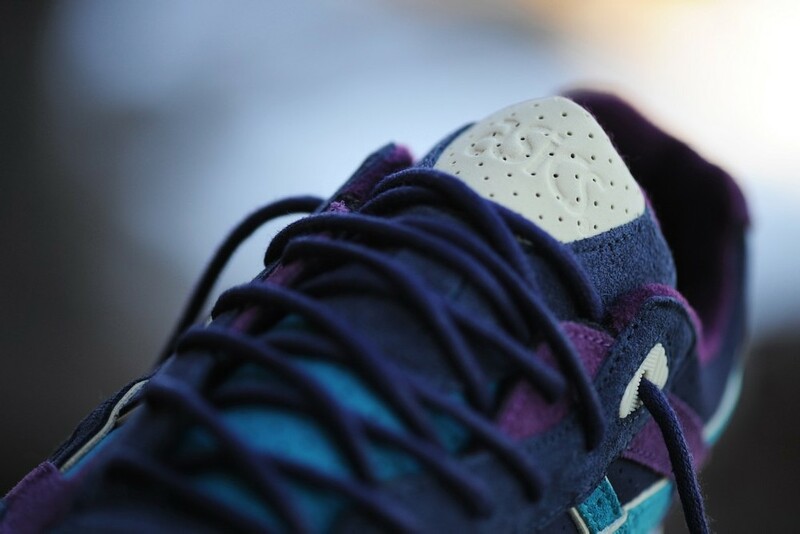 The Gel Saga’s signature midsole design is blocked into four colors, as opposed to the traditional single-color motif. Waxed, rounded laces help highlight the street-friendly side of the shoe over its performance aspects. Finally, asymmetric color blocking from the lateral to the medial side gives the shoe a different look at different angles, using the same colors. 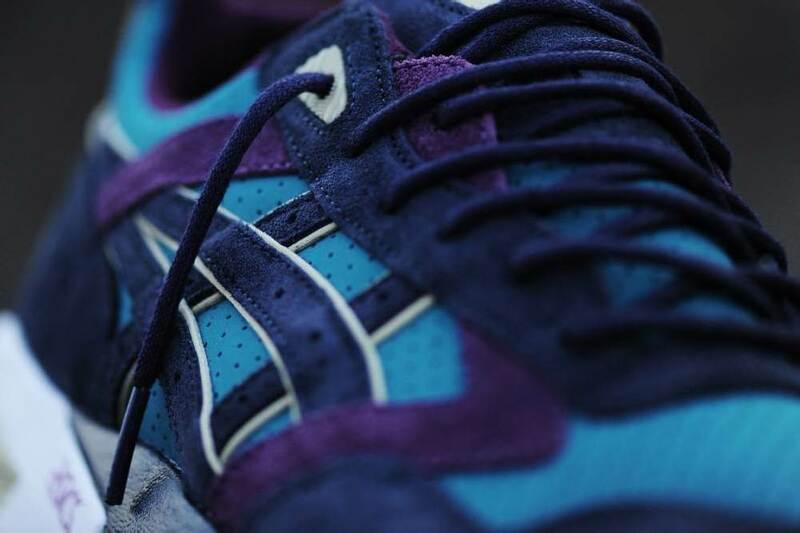 The BAIT x Asics Gel Saga “Phantom Lagoons” launch on Saturday, September 28 for $129.99. The shoes will be released at the BAIT flagship store in Diamond Bar, CA at 10am PST; a free limited-edition BAIT tee will be included with in-store Phantom Lagoons purchases. The shoes will hit BAITme.com two hours later at 12pm noon PST – shirt not included. Follow @BAITme on Instagram for more details and special promotions leading up to the September 28 release.